Is it true that the Circuit Court at Mpraeso in the Eastern Region has ordered the release of mining equipment and other exhibits seized from some illegal small scale miners to the eight accused persons arrested on Wednesday, September 12, 2018? But this has been reported by 3news, a credible news source, so I am sure they are reporting what happened in the court. The media house reported that the court, presided over by Mrs Mariam Sinare, has also granted each of the eight persons, including three Chinese nationals, a GH¢40,000 bail with one surety each to be justified. Wei aged 31; Xiao aged 54; Niu te, 31, all Chinese nationals, and Kofi Somuah, 20; Eric Ampadu, 22; Akwasi Abora, 29; Akwasi Sandi, 20 and Yaw Asante, 20, were arrested by the Operation Vanguard team stationed at New Abirem. I need some legal advice. Who failed in his or her job? Was it the police investigators who did not do diligent work? Or was it the prosecutors who sent the case to court who failed to adduce the right charges and evidence to the judge? We need to appreciate that these are galamsey equipment that will very likely find themselves back into a river in Ghana even before they go back to court on October 16, 2019. What charges were brought against the people who were caught in the act, what evidence was adduced by the prosecution? Or what did the Judge, Her Ladyship Mrs Mariam Sinare hear? Does she appreciate the damage that the equipment can do to the environment once she has released them to these people? Yes, I am not learned so I might be ignorant of the working of the laws, but my heart bleeds based on what I know about some galamsey suspects. The recalcitrant attitude of these ‘galamseyers’, indicates that may be back in the rivers destroying them again now that they are on bail. Setting as part of their bail condition that the illegal miners arrested by the Operation Vanguard team stationed at New Abirem are to report to the Police everyday until the final determination of the case might not ensure that they show up in court. 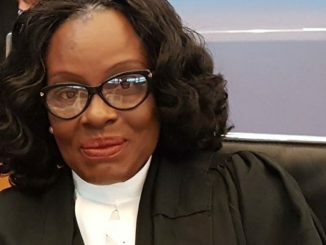 The honourable Judge should check the case of Aisha Huang where despite the stringent bail conditions some of the suspects have failed to turn up in court to the extent that the High Court has had to give bail to Huang, who is standing trial for engaging in illegal mining, in Kumasi in the Ashanti Region. I will want to remind our judge that in 2017, five Chinese who were granted bail by the Bekwai Circuit Court in the Ashanti Region for engaging in illegal mining were re-arrested for their involvement in the same act after less than a week. The names of the suspects as provided by Operation Vanguard were Huang Shang Gao, 54; Huang Yang Gang, 36; Lin Gang Sheng, 48; Lu Yan Shan and Yan Shao Gao, 35. According to a source close to Operation Vanguard, some of its members and policemen from the Bekwai Divisional Command went on an operation in the Abodom area, during which they found the five Chinese who had previously been arrested at the same location for alleged illegal mining. Yes, it is because of these happenings in our justice delivery system that ‘galamseyers’ do not find the system tough enough on them to be deterring. Another reminder to our Ladyship is for her to remember that the government has estimated US$400 million as the amount needed to dredge and clean the heavy mercury content in the Ankobra River in the Western Region due to the activities of illegal small-scale miners. So allowing the equipment to go back into the rivers is compounding our challenge. What is the loss to these suspects who were caught red handed on a river body mining if the equipment is kept till the case is determined and if they are found not guilty of using the equipment on a river body? Compare that to the cost to the ordinary Ghanaian by allowing the equipment to go back into working on any river body in Ghana. Can you imagine how many pregnant women’s lives we will save and children who will be alive today if we had $400 million available to the government to fix the roads and bridges in the overseas area in the Northern Region? I do not know the law, but I believe this is how the players in the justice delivery value chain should interpret the impact of their decisions. 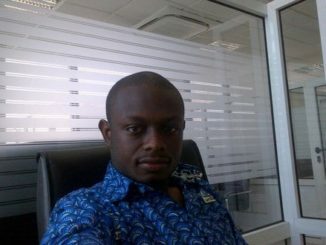 These actions and inactions of the justice delivery are a great disservice to Ghana. They will embolden others to also jump into the waters and continue to destroy our country, while the state spends a lot of money funding Operation Vanguard. Men, women and officers of the Operation Vanguard put their lives at risk to fight this menace and the media has spent so much resources and time to also fight this. It makes useless the call of the President to the Chinese President that we will hold their citizens who break our laws to account, if our justice delivery system will continue to act like this. I pray that journalists, the fourth Estate of the Realm, will follow up on this story and ensure that we keep pressure on all involved in this case from Operation Vanguard officials who have to give evidence in the case, to the police investigators, the prosecutors and the Judge. It will be good to remind Her Ladyship the Chief Justice and the Attorney General of the petition of the Media Coalition Against Galamsey sent to them on the weaknesses in the justice delivery system. With all of these going on in the justice delivery system so far as the #StopGalamsey fight is concerned, the petitions are still relevant and require their actions. 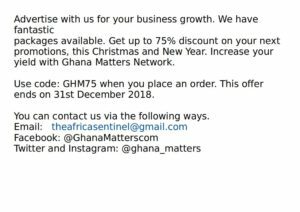 Please if you do not act you will also be called nanka wifoa (adder eaters) when the story of who caused the destruction of Ghana is told. We really have a major battle on our hands and both of you are rightly placed to help us fix this problem. I still insist that the justice delivery system is one of the weak links in the #StopGalamsey Fight. 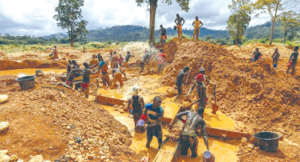 The road map to start small scale mining that was put out by the Inter Ministerial Committee Against Illegal Mining also mentioned the very low prosecutions — less than 10 per cent of all arrests made by Operation Vanguard. I plead with her Ladyship Mrs Mariam Sinare to relook at her orders to allow the equipment to be given back to these Chinese. 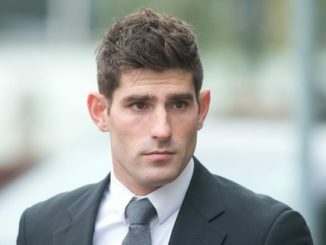 I pray that again the media will not just report these cases as news but get to the bottom of them, name, shame and offer information for prosecution. We all have work to do to build our country and “make our nation great and strong”.